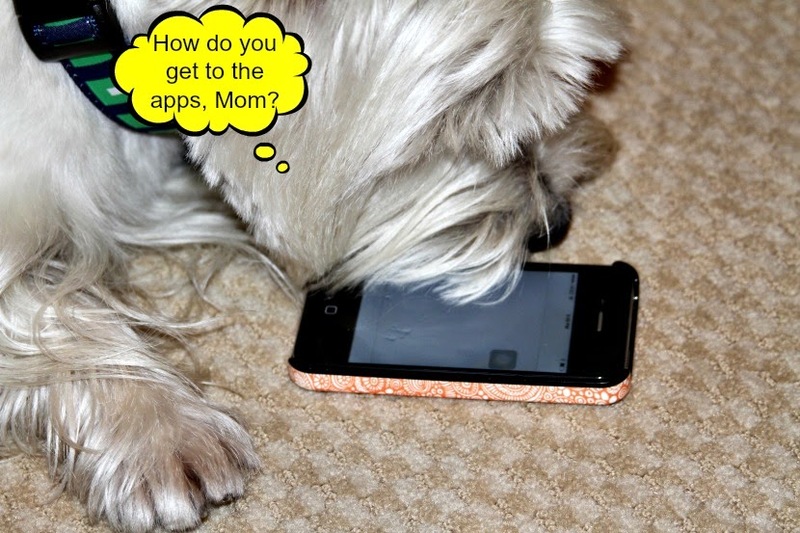 The White Dog Blog: Pet Safety Week: There's and App for that! That sure is a lot of apps. Thanks fur researching this topic and spending money papers. Many thanks for great apps! We will try the Pet Tech Pet Saver App, bet it helps my mom to be more relaxed when she isn't at home. Wow, what grreat info! There really is an app for everything. WooHoo! Excellent information. I'm gonna tell Mom all aboutz dez apps right now. Wow! I didn't know about all of these Apps! I need to go check out one or two so that Ma can get one for her phone. Thanks Duncan! Mom just got her first Smart Phone a few months ago and I think the phone really is a lot smarter than she is. So she will need apps so she'll know just what to do in an emergency. Thank you for a great post! We're going to check out those apps. Mom needs more apps on her Kindle especially if they're about us. Wow, I didn't know there was this much out there for phones! Great job with this post. OMD the Red Cross and ASPCA. WOW! These are super tools for our peeps to use to keep safety info quickly available in an emergency. This was a pawesome topic for us and you did a great job. Thanks bunches for sharing this will all of us! Duncan you are a K9 techie guru!! Bravo for all this wonderful techie information. For a while Mom had a kitty game app on her iPad ...it I touched it all kinds of celebrations and motion happened it was very entertaining. OMD, I loves that furst one...Ma needs all the pictures she can gets!!! BOL!!!! No, really, that would be the bestest if you're stressed out and your furry needed CPR, and you're not sure if you're doin' it right. Pawsome! Ma's gonna check it out!! LOL there is an app for just about anything these days Duncan but those sure are useful. We agree, thank you to our techy guru for keeping us informed on what is out there. Have a wonderful Wednesday. Mr. Duncan YoooooHooooo Mr. Duncan... TEACHER ... Sir.. THESE are Super APPS and we took very much CAREFUL NOTES so that if we ever DO get a phone that isn't STOOPID... we will be all set fur getting GOOD APPS. I didn't know there were so many apps for pups! We love apps in this house and will now be adding some more. Thank you!! Thank you Duncan! These all sound like cool apps to have. Mom doesn't have a smart phone but she probably can get them on her tablet! Ummmmmmmmmmm!! Hate to have to say this but Mum said "what's an app?" OMD and she's MY Secretary!!!!!! We are gonna have the Lady look up some of those apps, our life could be saved by these! Thanks for telling us about those apps! Thank you for that great information. Mommy is writing these all down. We do use the ASPCA site very often, but the other ones sound great also. A fantastic post! Mom spends A LOT of time on her phone, we're gonna ask her to look up some South African based pet apps for us. That's some good information! Thanks! WOW Duncan, we didn't realize there was so much out there to help the peeps in time of need. Mom & Dad are gonna start googling pupper apps this weekend, never can be to safe! Wow, I wanted to stop back and say thanks again for hosting this cool topic! What a creative and fun idea and I had no clue there was this much available to help our peeps help us. BOL Thanks again for putting this together fur us. You will be entered in the Host Appreciation Drawing for a cool prize. Random drawing to be held on Monday, August 18th. Oh Duncan ~ Those sound interesting but I don't have a Smart phone we have a DUMB phone. Congrats on your win over at Sarges.